Many basketball observers suggest that the key to Gervin's success at the collegiate and professional level can be traced back to high school. As a scrawny 5-foot-8 sophomore, George Gervin barely made the jayvee team. In order to improve his game, Gervin would spend his nights shooting baskets in a gym by himself. here was a hitch: before Gervin could use the gymnasium, the school janitor made him sweep the floor. That passion and desire and willingness to succeed¾combined with extraordinary athletic ability and God-given talents¾made Gervin a player whose talent and knack for scoring seemingly anytime he wanted, will be discussion for ages to come. In winning the closest individual scoring race in NBA history on April 9, 1978, against fellow Hall of Famer David Thompson, the "Iceman" established himself as one of the most prolific scorers in his era. In the final game of the season, Gervin scored 63 points to nip Thompson by just .06 points. One of only three players in NBA history to win four or more league scoring titles (1978, 1979, 1980, 1982), Gervin enraptured fans for 14 ABA/NBA seasons with the Virginia Squires (1972-74), San Antonio Spurs (1974-85) and Chicago Bulls (1985-86). Whether he was laying in a sweet finger roll over a center in the paint or spotting up for a long jumper in the face of a guard, George Gervin always found a way to put the ball in the basket. An All-Star in 12 of 14 seasons (three ABA, nine NBA), Gervin's total of 20,708 career points placed him 19th best on the NBA's all-time scoring list. His career scoring average of 26.2 ppg ranks sixth best on the NBA's all-time list and his combined ABA and NBA career point total of 26,595 ranks eighth best in basketball history. Among guards, Gervin's combined point total places him second behind Oscar Robertson. The San Antonio Spurs' all-time leader in points, games played, field goals made and attempted, free throws made and attempted, and steals, George Gervin is one of seven players to score 2,000 points in six consecutive NBA seasons (1977-78 to 1982-83). The MVP of the 1980 NBA All-Star Game, Gervin's scoring talents guided the Spurs to five Divisional titles in nine years. A five-time All-NBA First Team selection (1978-82), Gervin spent two years at Eastern Michigan, where he earned All-America honors following his sophomore season. George Gervin worked as a community relations representative for the Spurs until 1992, when Head Coach John Lucas made him an assistant. After two seasons on the bench, he returned to his position in the community relations department in 1994. Gervin's No. 44 is one of only two uniform numbers ever retired by the Spurs. 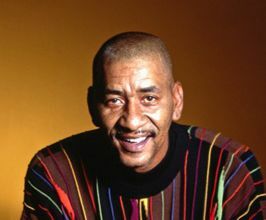 Gervin enjoyed a banner year in 1996 as he was named to the NBA 50th Anniversary All-Time Team and was also inducted into the Naismith Memeorial Basketball Hall of Fame. All American Speakers is a speakers bureau and booking agency providing information on booking George Gervin for speaking engagements, personal appearances and corporate events. Contact an All American Speakers Bureau booking agent for more information on George Gervin speaking fees, availability, speech topics and cost to hire for your next event. Please Note: All American Speakers Bureau acts only as an entertainment broker/producer for corporate functions, private engagements and special events. All American Speakers Bureau does not claim or represent itself as the exclusive agent or management of George Gervin or any artist on this website. Speaker fees are determined based on a number of factors and may change without notice. Fees often vary based on a number of factors including: speakers schedule, supply and demand, length of presentation, location of event and other factors. Fee Ranges listed on this website are intended to serve only as a guideline. In some cases, the actual price quote may be above or below the stated range.